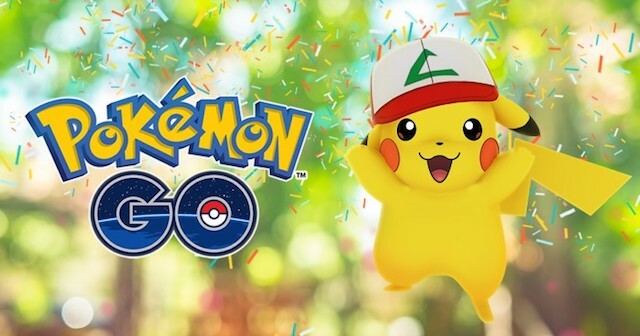 To celebrate Pokemon Go‘s first anniversary, Niantic launched a new event that will allow players to capture a special Pikachu for a limited time. From now through July 24, players will have the chance to encounter and capture Pikachu wearing Ash’s hat from the Pokemon animated series. In addition, players will have the option to purchase a special Anniversary Box in the game’s store, containing Incubators, Max Revives, Ultra Balls and a Raid Pass. This Anniversary Box will only be available for a limited time. This event is part of a larger series of anniversary celebrations that have or will take place this summer. For instance, a real-world event called Pokemon Go Fest will take place in Chicago July 22. Alongside these events, Niantic recently partnered with Wieden+Kennedy London to launch an advertising campaign celebrating the game’s popularity in major locations around the world. As part of this campaign, billboards containing gameplay stats appeared in New York, London and Tokyo, and many of these billboards were activated as PokeStops within the game. Pokemon Go is available to download for free on the iTunes App Store and Google Play. The game has been downloaded more than 750 million times, and it has driven more than 500 million visits to sponsored PokeStops, such as Starbucks restaurants and Sprint stores, since its launch.